My husband is on a bit of a health kick, so I decided a healthy birthday cake was in order. He's actually not much of a cake fan, but does love carrot cake. I chose to make carrot cake cupcakes instead of a traditional carrot cake. 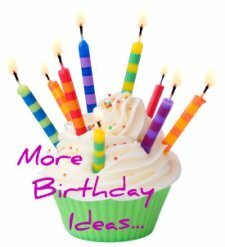 I had a look for ideas for decorating cupcakes birthday. 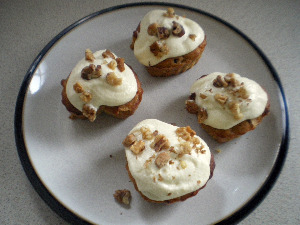 But eventually decided to do it in a traditional way, with cream cheese frosting and walnuts! I used heart shaped silicon moulds, for that extra romantic touch! If you want to try your hand at a something a little healthier, here's the recipe for my carrot cake cup-cakes. Bake for 20 – 25 minutes. When they're cooked a skewer inserted to the middle should come out clean. When completely cooled, prepare the frosting by mixing the softened butter, cream cheese and vanilla extract. 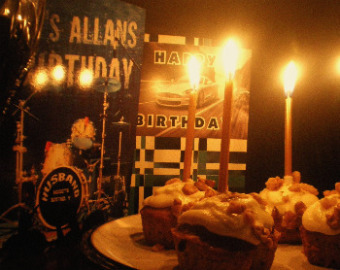 Light the candle and sing HAPPY BIRTHDAY! Go to Birthday Cake Ideas from Healthy Birthday cake .